Individual label sizes, paper formats and design patterns. Sometimes you may need more than that. 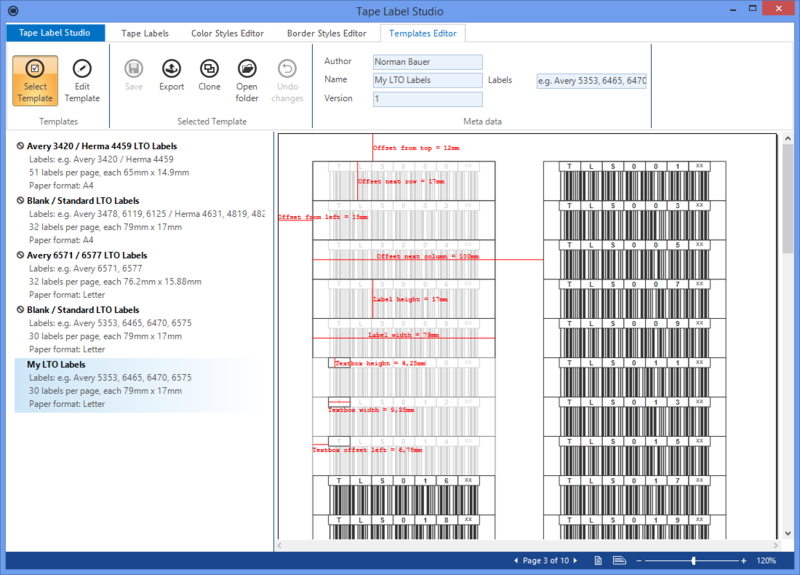 The templates editor help designing new templates for special paper formats or label requirements. 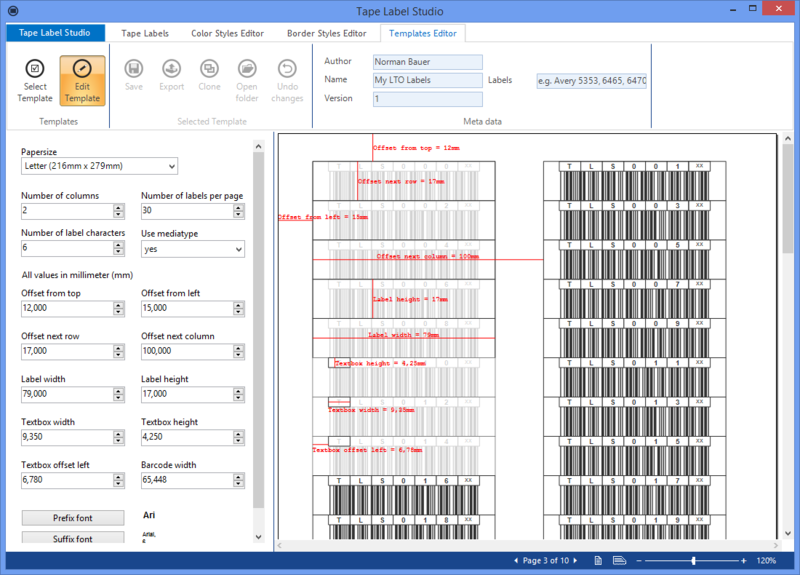 You can edit margins, gaps, sizes, number of labels and many more parameters. Once created, you can always re-use your templates. 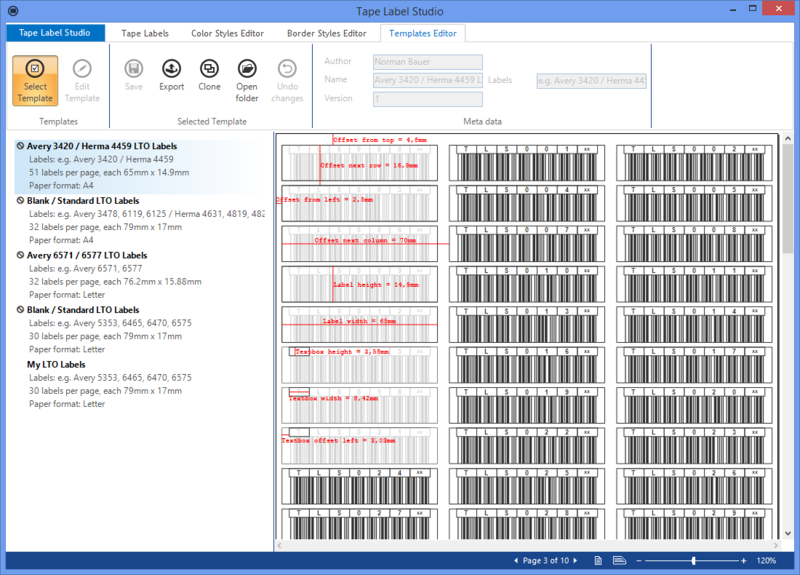 Templates Editor is included in the Professional and Enterprise editions of Tape Label Studio. Customize label borders or label colors.